Across the city, people are doing their best trying to get from point A to B. How are you dealing with the storm? 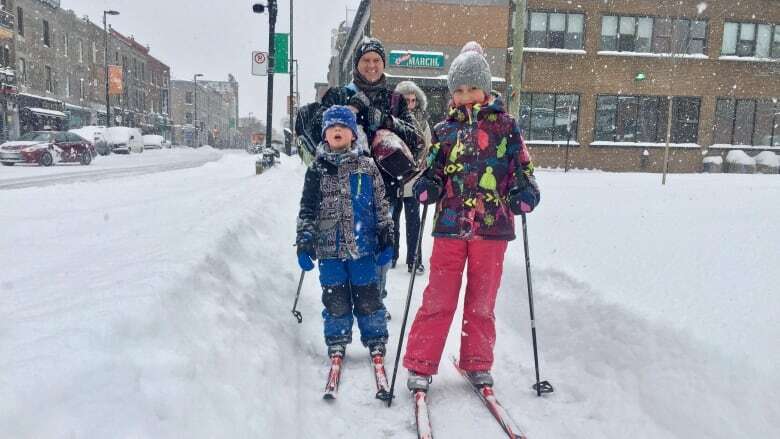 We're digging out of the first major snowstorm of the year — a storm that has closed schools and roads and has generally ground things to a halt across the province. 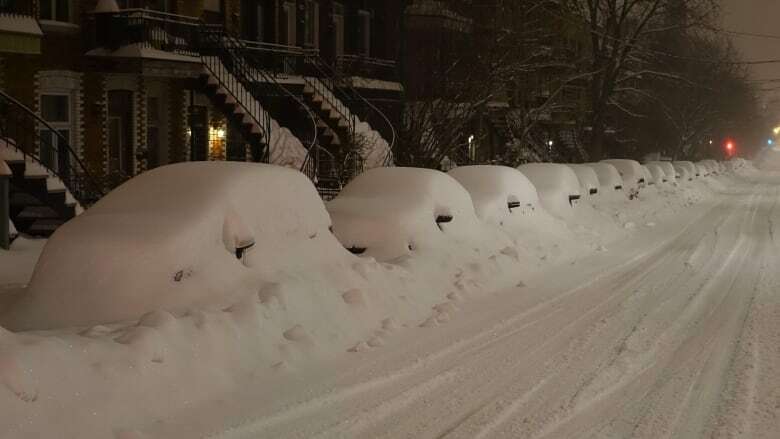 By the time the last flake has settled, about 40 centimetres of snow will have fallen in the Montreal region. Across the city, people are doing their best to get from point A to B. Here are a few sights and sounds from the storm. How are you dealing with the snow? Send us your photos and video. A nice sight to wake up to, surely. 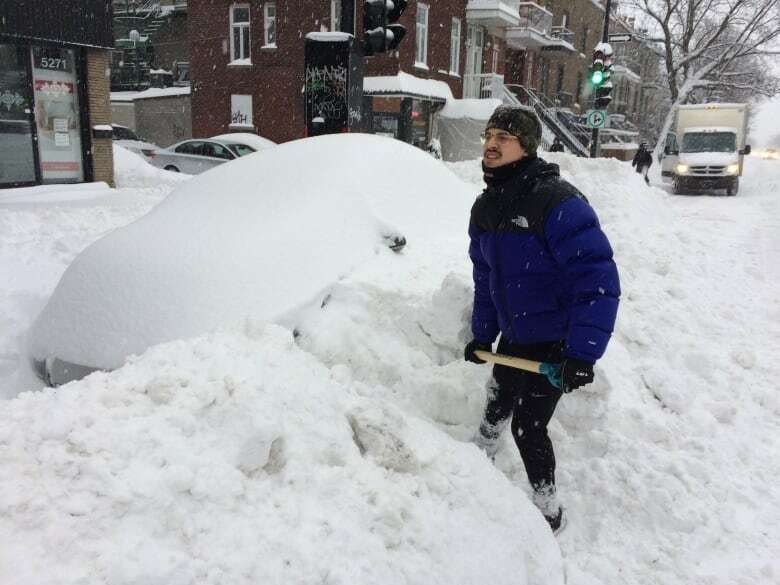 On St-Denis Street north of Laurier Avenue, we came across Guillaume Jacques, who looks thrilled, doesn't he? 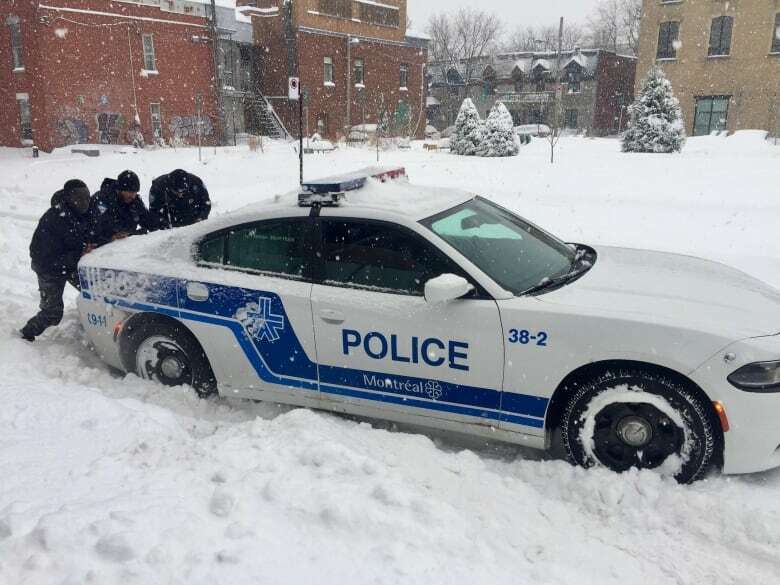 No one is immune from the snow … not even the police. Let's hope they weren't on their way to an emergency? In Quebec City, a Radio-Canada journalist snapped this eerie photo of people crossing Laurier Boulevard. ... or just giving in and embracing it.